Comprising of beautiful images born out of structured patterns, zentangle art is quite captivating and we particularly loved Sushmita Veerapandian’s work. An architect by profession, her love for patterns and drawing led her to start doodling on book covers. Soon her work started garnering appreciation from her friends who pushed her to explore this more passionately, leading her to start doodling digitally. 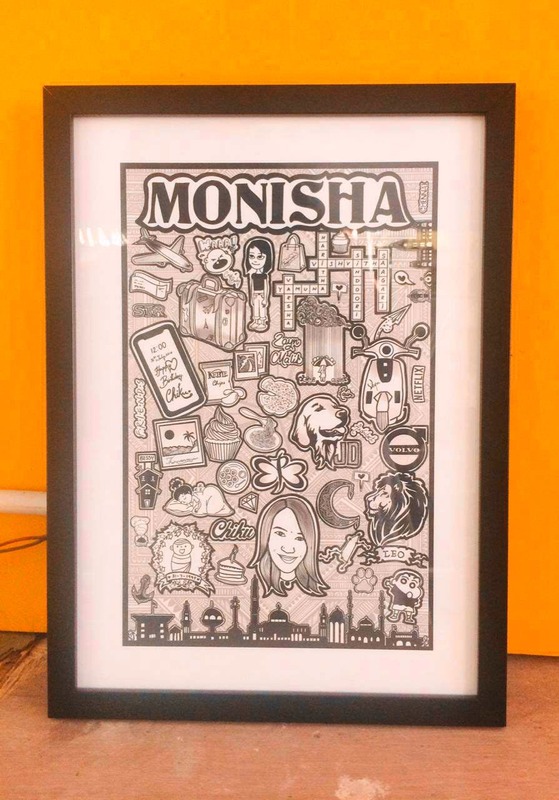 Incorporating unique elements like domes, elephants, human figures into this quirky art, Sushmita makes amazing zentangle doodles that can be framed, printed on merch and even painted on walls. We totally fell in love with her doodled mugs that start from INR 400 and can be customized to your liking. She even does zentangle paintings that come in varying sizes such as A3, A5 and more and are sold as ready to use frames. Starting from about INR 2000, the frame shapes for these vary from squares and rectangles to customized circular ones. Zentangle doodling for fridge magnets and badges for just INR 50 per piece. Time to add to your already existing collection? We specially liked her fractal zentangles, which are basically patterns that are inspired by nature. But if you’re really big on zentangles, then you must check out her zentangle wall doodles that you can get painted or framed on your walls. You just have to give her your wall dimensions, colour theme and elements or shapes you’d like to work with and she will design them specially for you. Pretty cool isn’t it?